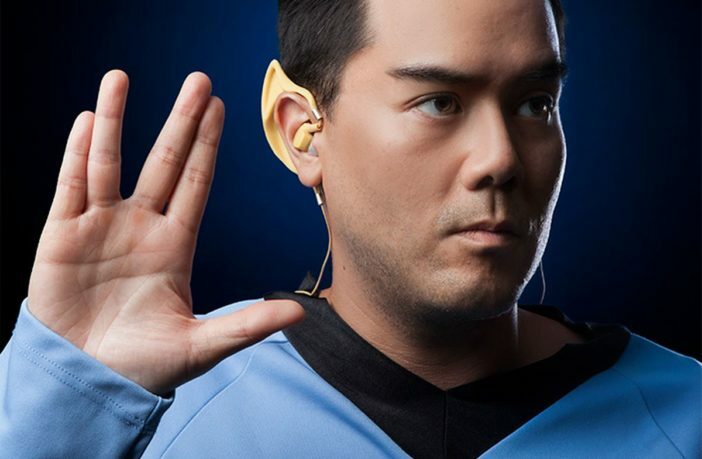 6 Star Trek Gadgets All Trekkies Will Love! You are at:Home»Technology»Electronics»6 Star Trek Gadgets All Trekkies Will Love! Live long and prosper. Those are the words all true Trekkies live by. Whether you favor Star Trek: The Original Series or Star Trek: Discovery, all fans are part of the vast Star Trek community. To show off your fandom, you might want to consider getting one of the Star Trek gadgets listed below! 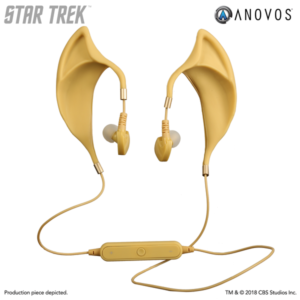 It’s only logical to get these earbuds if you’re a fan of Spock. They are the same shape and color as Spock’s ears from Star Trek: The Original Series. With the inline remote and mic, you can answer and receive phone calls, and control the music you’re listening to. These earbuds only take 2 hours to charge and can last up to 180 hours on standby. If you’re a fan of Star Trek: The Next Generation, then you’ll love this Warp Core USB Car Charger! You’ll be able to charge devices quickly on-the-go. During charging, the core will emit its signature blue pulsing light (sound effects not included). 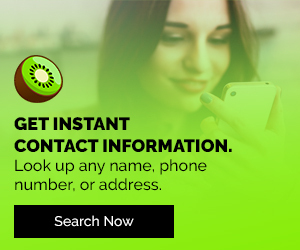 For the specifications, it has a maximum output of 4,000 teradynes per second and can plug into your car cigarette lighter. Even though this gadget is amazing, sadly it cannot make your car travel at the speed of light. The Star Trek U.S.S Enterprise drone takes drones to a whole new level. You can finally fulfill your dream of being the Captain of the U.S.S. Enterprise by using the remote control that’s included. This Star Trek gadget almost seems authentic since it includes 10 sounds and lighting effects. To top it off, this drone has a Warp Drive feature that both kids and adults love! This Enterprise Bluetooth Speaker is more than just a speaker. It’s a collectible and night light that makes authentic sounds. Some of the sounds you can choose to hear include Engine Hum, Red Alert, Incoming Transmission, and Torpedo. 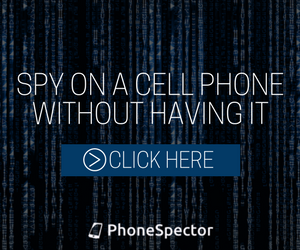 All of the gadget features can be controlled from your own smartphone. 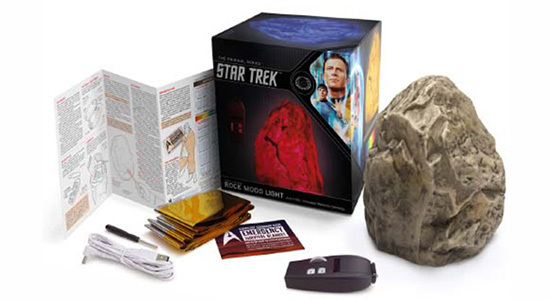 Set your phasers to stun with this rock mood light. In Survival mode, the rock will light up red while you point your phaser at it. Using this is definitely a step up from using the traditional candles to set the mood. These are the best Star Trek gadgets that are great for any Trekkie. Which gadget would you like to get for yourself? Let us know in the comments below. Digital Addicts out. Previous Article100 New Profile Icons Are Being Added To Netflix! Pingback: 10 Halloween Costumes For Techies!